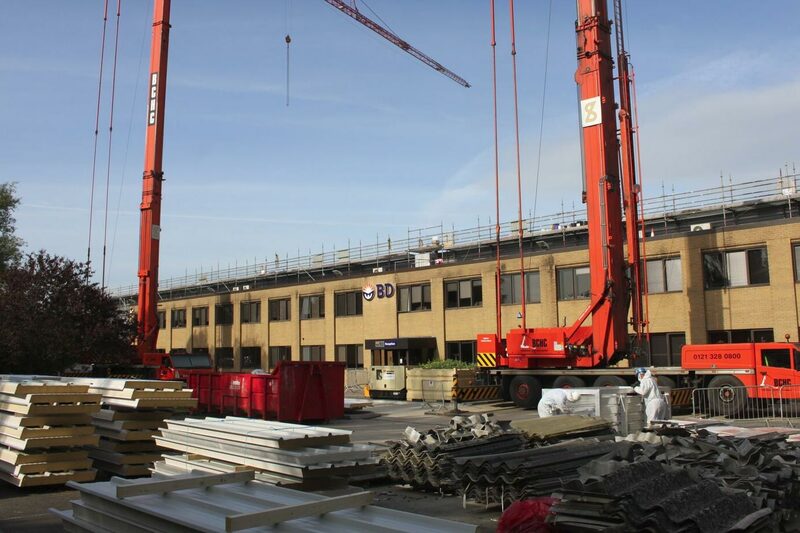 With large scale refurbishment jobs the work has to be managed around the business requirements of the client with the capacity for them to maintain their workflow with minimal disruption. We are highly experienced with refurbishment projects. They require us to manage the workload around the business requirements of the client; this ensures they can continue to operate at full capacity in order to maintain their workflow with minimal disruption. This is exactly what we were able to achieve on this particular project, as a result of careful program management, dedicated designs and planning and considerate liaising with the client. 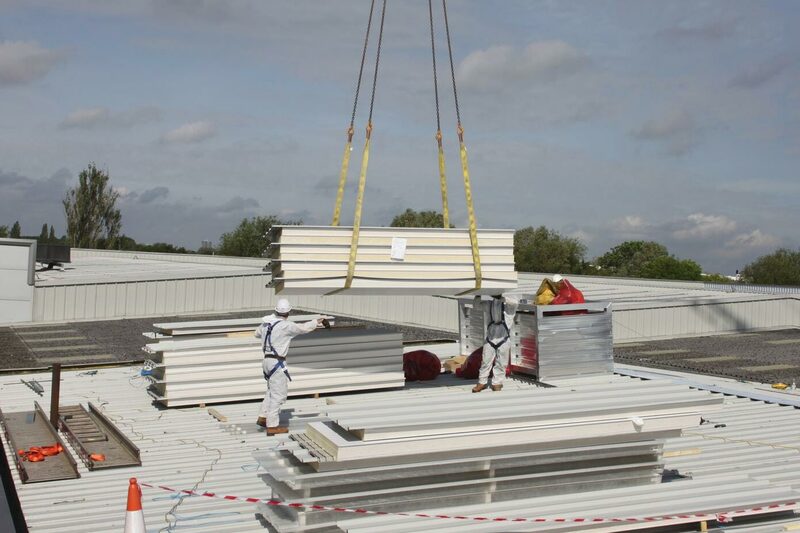 We successfully stripped 4000M² of asbestos cement roof sheets and fitted new Kingspan composite sheets within a seven-day site program. 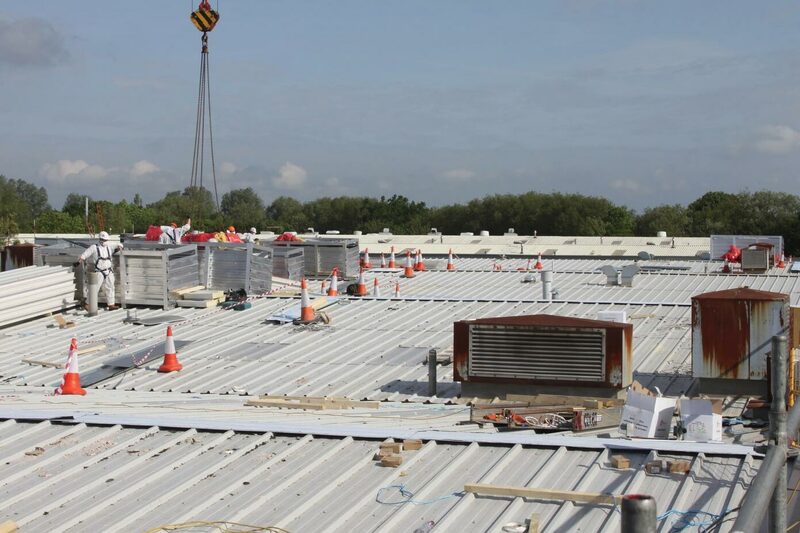 Completed in one week, 4000m2 strip asbestos cement sheeting and lay new Kingspan RW composite roof. Investors in People – Our training and development plan, company and job procedures, quality control, health and safety and supplier assessment, all form part of our IIP recognition. Further details of the IIP programme may be found on the IIP web site which may be found by clicking on the logo. Sage BEC takes responsibility for the greenhouse gases we cannot avoid emitting by using the Climatecare offset calculator to determine how many tonnes of CO2 we produce in our trading year. To achieve Carbon Neutral status we pay Climatecare to reduce the equivalent amount of CO2 in another part of the world by investing that money into emission reduction projects replacing fuel hungry inefficient technologies with efficient low-carbon technologies in developing countries. Take a look at the Climatecare website to see the advances being made; from the simple provision of efficient cooking stoves to full blown wind and hydro power schemes. The Centre for Window and Cladding Technology (CWCT )is a leading information provider and trainer in the field of building envelopes and glazing. They provide a wide range of advice and information to the industry with the assistance of its members, and through our own membership, we hope to not only gain improved technical information and knowledge relating to building envelopes, but use our own experience to share this information with others in the industry, creating a much improved workflow. The ISO standard is an internationally recognised accreditation based on the quality of a business’s management system in a certain field. ISO 14001 is focussed around the environmental aspects of the organisation, with the core principle of continual improvement being the driving force behind environmental development. Through achieving certification of this standard; Sage Roofing has illustrated a comprehensive environmental plan which is integrated into our principles as a company, and will continue to feature heavily in our progressive growth within the Roofing & Cladding Industry. 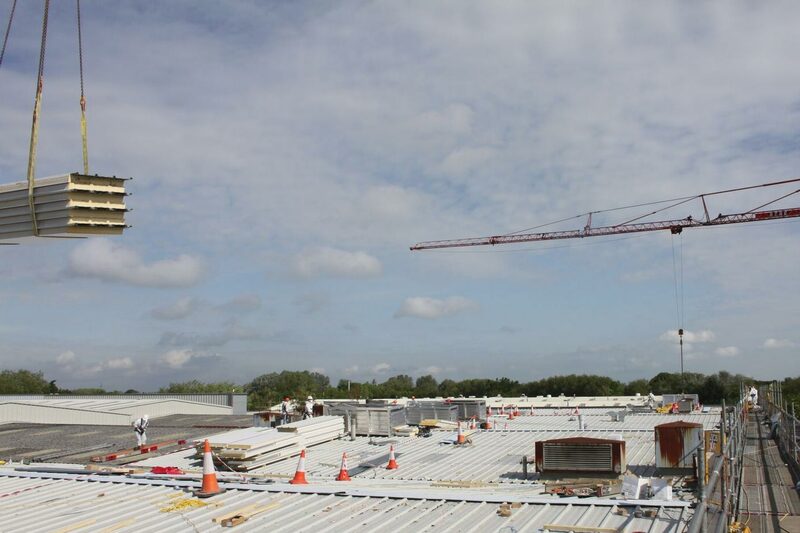 Looking for a roofing, cladding and rainscreen contractor for your next project?